The AURUM Africa cosmetic line is enriched with a new product complementary to Marula Oil: Mongongo Oil. Mongongo Oil also known as Manketti Oil is extracted from the kernels of Mongongo (Schinziophyton rautanenii), an endemic plant of the savannahs and deserts of Namibia. Local people have been using it for millennia to protect skin and hair from wind, sun and dry weather. Light, rich, with a light yellow color tending towards green, it has a natural smell of hazelnut. It is nourishing and moisturizing, spreads easily and penetrates without leaving a greasy skin. 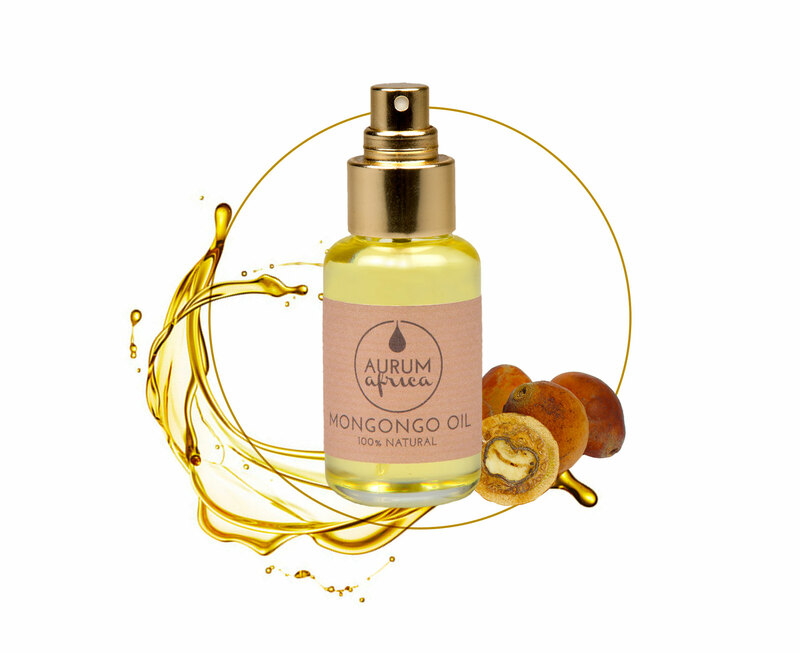 AURUM Africa Mongongo Oil comes from environmentally friendly harvesting and processing. It is obtained by cold mechanical pressing. • Mongongo Oil most precious and appreciated property is to protect from adverse environmental conditions, creating a natural barrier. • Mongongo Oil helps to improve the skin hydration thanks to the high content of Linoleic Acid, Alpha Linolenic acid and Oleic acid, vitamins and minerals. • Its exceptionally high Linoleic acid content makes Mongongo Oil an excellent ingredient in the formulations of anti-aging face creams and serums. • Mongongo Oil is an exceptional massage Oil: it acts on dry skin, smoothing it and making it visually more beautiful and soft to the touch. It can be alternated to Marula oil. • Perfect hair Oil, especially for frizzy, brittle and split hair. • Distribute a small amount of oil with a light massage until completely absorbed.